Let me start by saying every woman’s journey through pregnancy and after is completely different. You may struggle through something that I don’t and I may struggle through something that you don’t. We all have different stories. I am here to share just a few snapshots of mine to let you know you are not alone! 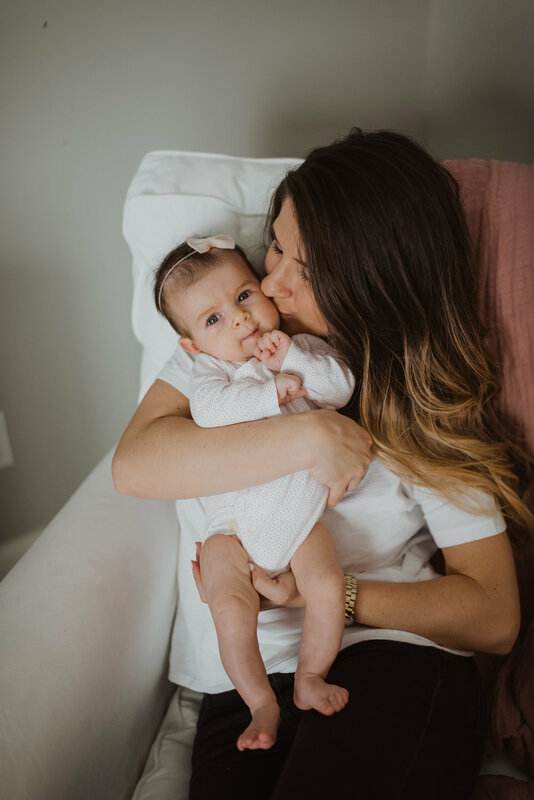 Side note - I am so grateful that I didn’t experience postpartum depression after my pregnancies, but it is very real and I encourage you to seek help if you are having any anxious thoughts that are overwhelming you! This always hit me the day after I get home from the hospital. The adrenaline from birth and meeting your newest one starts to subside and exhaustion sets in. Your hormones are going CRAZY from birthing a human being and it shows in how easily you can cry (at least it does for me!). Those first two weeks are usually my most emotional and then I start to get back to “regular mom emotional” haha. “Oh my goodness Anniston needs me and I can’t pick her up.” Cue the tears. “My body hurts so bad.” Cue the tears. “Elliott is so beautiful.” Cue the tears. “You brought me coffee without being asked.” Cue the tears. “The family got themselves a new car in that commercial.” Cue the tears. For all my breastfeeding mamas, some of you may experience this and some of you may not. My mom and I were talking to a friend about it and she said, “Yeah, I mean I kind of remember my breasts feeling a little big and sore.” When she walked away my mom and I both agreed she had NOT experienced it at the level I had haha. When your milk comes in a few days after giving birth you will naturally feel more full and sore. This is the point that some women experience engorgement and I am one of those “lucky” women. My milk came in on day five with Anniston and on day three with Elliott. The next three to five days that followed my milk coming in were the most painful days of my life BOTH times. 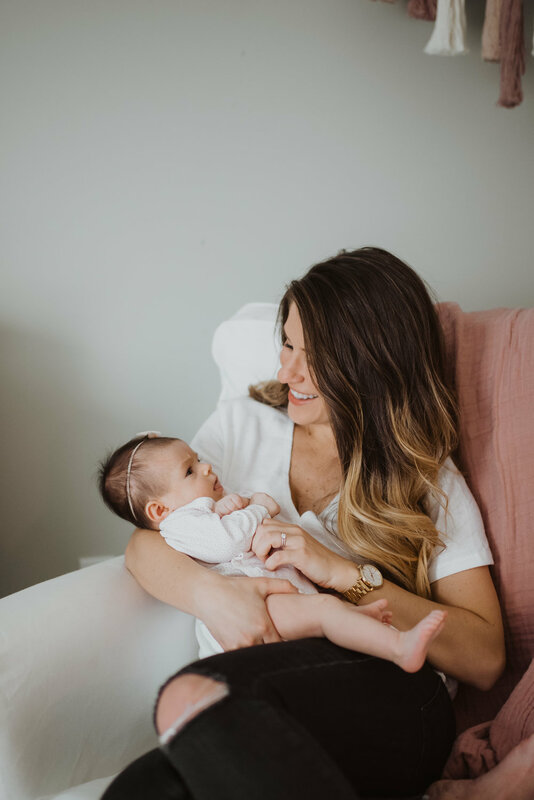 I would easily choose giving birth with an epidural that wasn’t working again (read Elliott’s birth story here) over going through what I experience with engorgement. 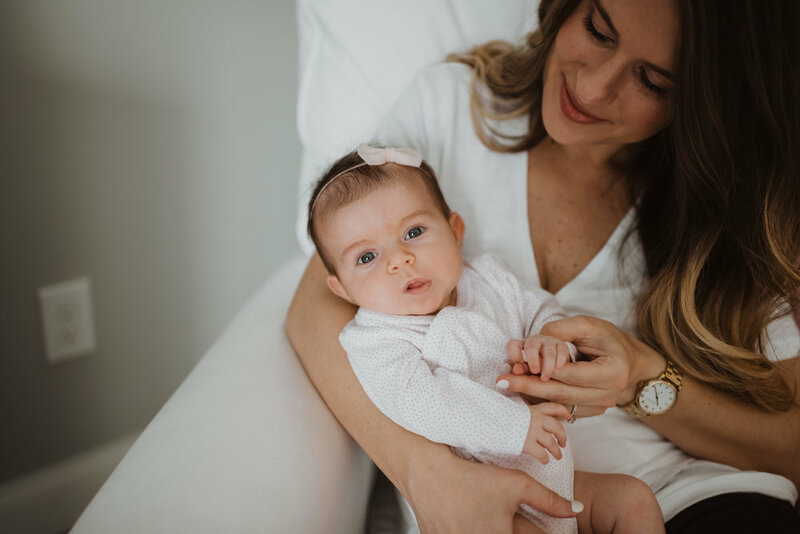 I consider it a blessing that I have been able to produce more than enough milk for both of my girls and that breastfeeding has come easy for them, but during those days I definitely felt like i’m wasn’t going to make it. Basically, my chest is the size of cantaloupes and just as hard and feel like two giant bruises I am carrying around on my body. I wouldn’t wish it on anybody! There are all sorts of tricks you can do if you google it (cabbage leaves, tea, ice, heat, etc.) and I did all of them. But if you are severely engorged the best trick I can give you is to PUMP. A lot of things you read tell you not to because you might tell your body to continue making too much milk. This might be true for some people, but it is the only thing that brought me relief and made it possible for Elliott to latch on. I spoke with a lactation consultant and she agreed that in severe cases it is sometimes the only thing that will help. Obviously don’t go crazy pumping all day, but completely emptying your breasts before bed gives you the ability to lay down without as much pain and pumping just a little before some of the feedings helps your little one be able to feed better. It can also prevent mastitis! If I ever saw a red, hard spot forming on my breast then I would immediately pump and massage that area as I pumped to prevent any build up! If you go through this 1. I am SORRY and 2. it does go away! 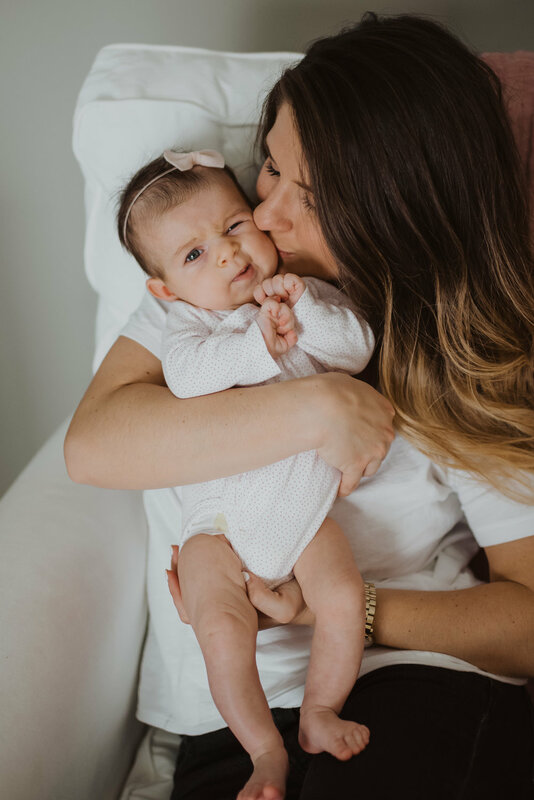 It usually only lasts around five days (even though those days feel like an eternity) and then your body learns to slow it down and only make what your baby needs. Even though I love breastfeeding I am a firm believer that FED is best so you do you girlfriend. BUT do not let engorgement be what causes you to quit if you truly want to breastfeed! You can push through it! I’m living proof! :) Please feel free to reach out if you experience this and need someone cheering you on or just to agree that it’s the WORST. I’m here for you! So those are probably the top three things that caught me off guard! I am feeling pretty much “myself” now and am glad to be over the hurdle of recovery! I am working out more, but definitely listening to my body and taking it easy. It’s important to give your body time to heal properly so you don’t do any more damage to it! This can be a very emotional and overwhelming time and I found prayer to be my very best friend during these months. If I am anxious, exhausted, or even scared, I have found that turning to the Lord with my fears is so much more relieving than dwelling on them on my own! I would love to be pray for you as well if you are in a similar season! Through my experiences I have become extremely passionate about motherhood, pregnancy, and your postpartum journey. I am not a doctor by any means, but if you ever have questions, I would love to help! 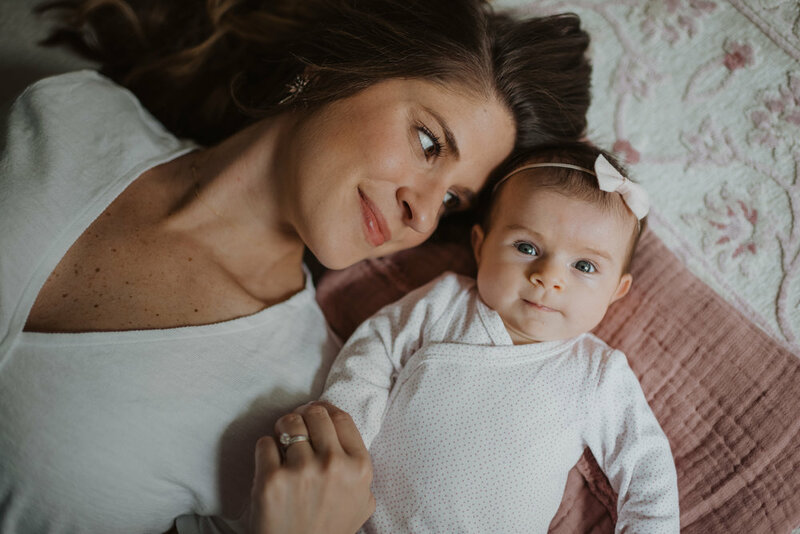 In the meantime I’ll be working on a post about how we use “Moms on Call” for the girls’ schedules and my favorite baby products this time around! Let me know if there is anything specific you want to know!